S.K. Electronics Ltd have been manufacturing PCB assemblies for over 40 years. During this time technology has moved forward at an amazing pace. By keeping abreast of technology, we can populate any PCB with SMD and conventional Components, single or double sided, one layer, to multilayer to any of your requirements and configurations. We also offer assistance in board layout, panel optimisation and design for production if required. Producing a quality product is crucial to us and to you. To ensure PCBs are compliant we use a number of inspection and Quality assurance procedures. Including Automatic Optical Inspection equipment and CAD software as well as continuous improvements. 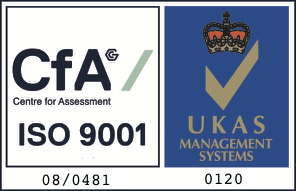 We are accredited to ISO9001 2015 as well as being a preferred supplier to many of our customers. Our involvement in manufacturing your product can be as little or as comprehensive as required. We offer a full turn key solution which means you just need re order and we will do the rest, including distribution to your chosen location. SK have provided the service of panel wiring, control cabinets and cubicles box assemblies, cable harnesses and jumpers since we first started out. We are fully conversant with European wiring regulations, mains distribution and safety procedures as well as specific customer engineering standards for Mass Transit, Highway agency, Military and Utilities. Our staff are fully qualified, certified and experienced panel manufacturers. With access to global suppliers, and distribution networks SK can source parts for your assemblies as needed. Using our own in-house Stock and MRP system which links to our production data we are able to manage Inventory levels, lead times and buffer stocks to meet your deadlines. In addition we also offer a repair and refurbishment service. Often this is for legacy products which have been out in the field for many years and need upgrading, refurbishing or repairing. All repairs and refurbishments are serviced to high standard and are supplied with a warranty and certificate of conformity. Our electrical engineers have years of experience in the industry.